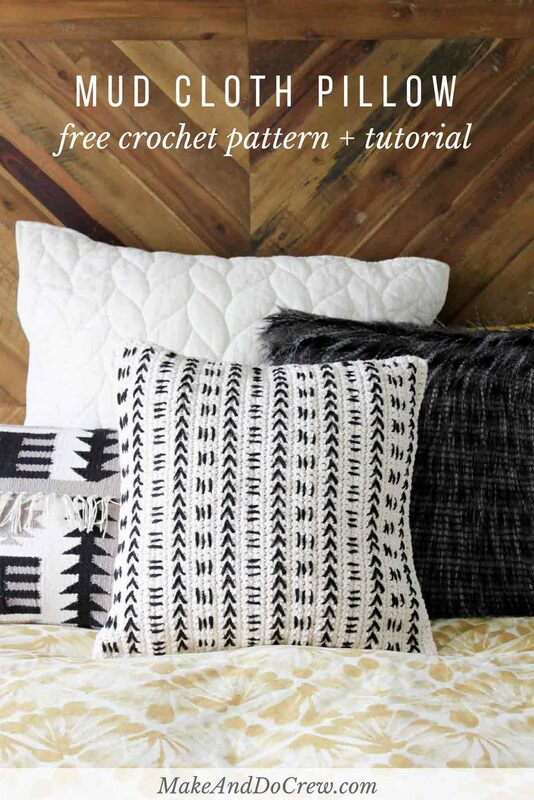 Mud Cloth Crochet Pillow Pattern — Free Pattern! This free crochet pillow pattern uses a mud-cloth-inspired design to make a modern piece of couch flair! 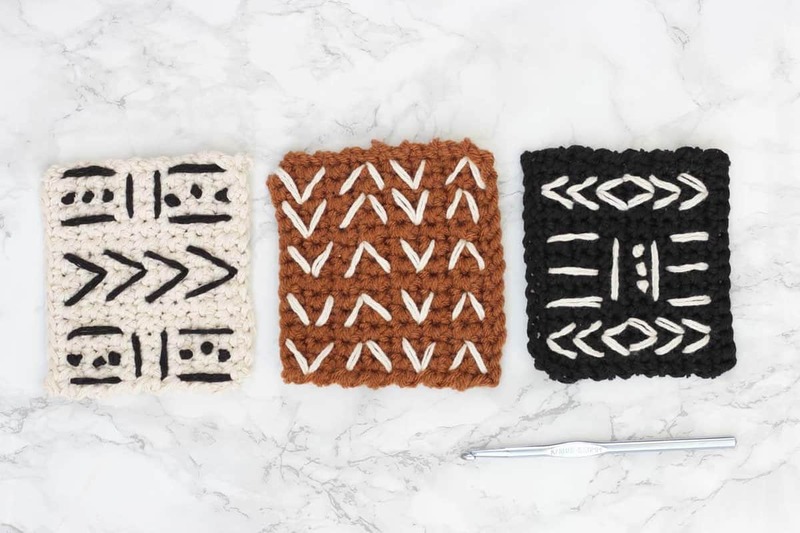 Excellent pattern for beginners! Get the free pattern below or purchase the ad-free, printable PDF for $2.75 here. 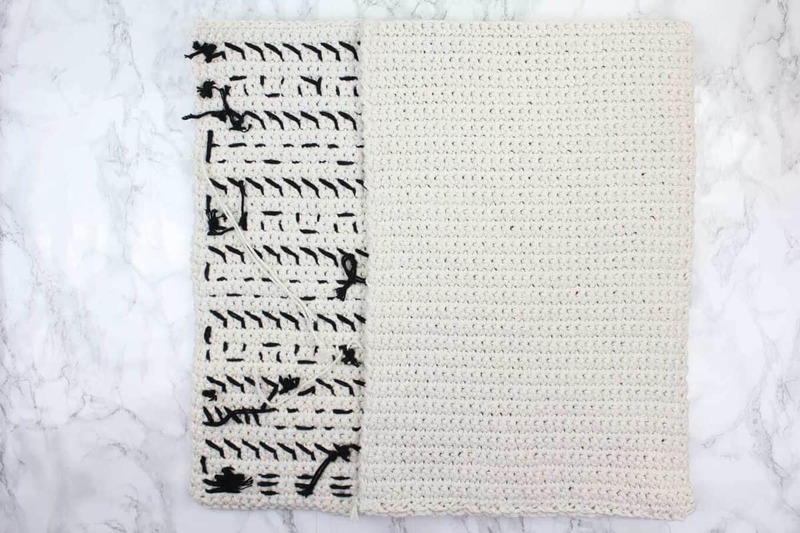 This free crochet mud cloth pillowcase pattern is a collaboration with my friends at Lion Brand Yarn. This post contains affiliate links. 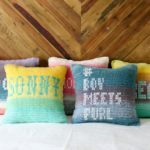 When I recently asked on Instagram for your opinions on what color mud cloth pillow I should crochet, I was met with a few “What in the world is mud cloth?” inquires. So, first things first: Mud cloth is a type of fabric that is made in Mali by actually dying fabric with mud. The result is graphic, tribal fabrics that have really caught on in popularity with the wanna-be world traveler crowd like myself. In fact, my designer friend Alexandra from Two of Wands just happened to be working on a crochet mud cloth pattern at the same time as me. 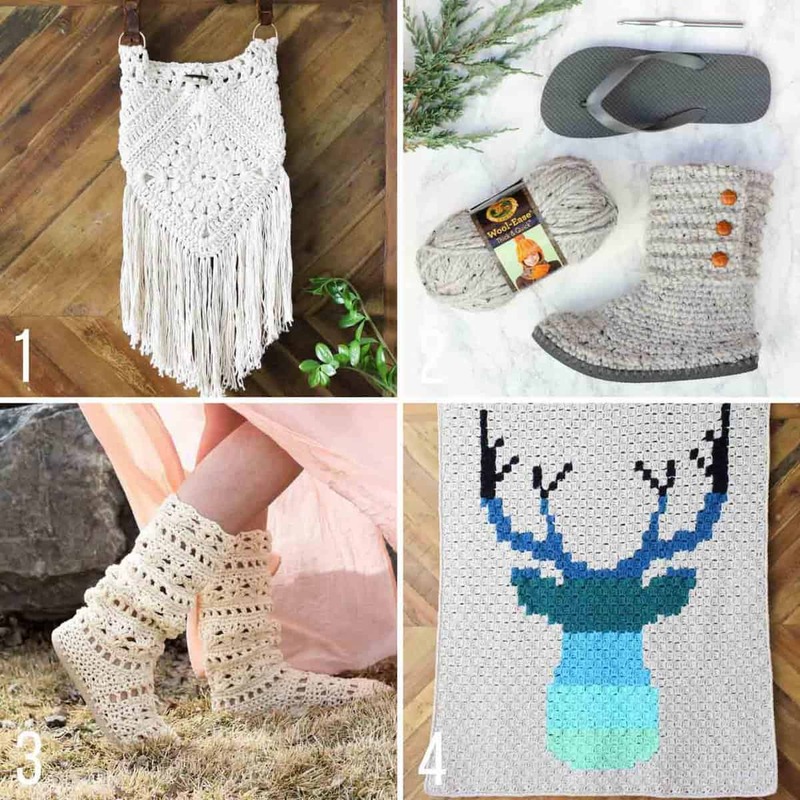 Her designs are so stunning–I can’t wait to see what the finished pattern looks like! Traditionally, mud cloth was dyed by female artisans. As a lady artist myself, I liked thinking about pillow I was stitching away on was my own work of “art,” even if my medium for creating it was far different than the women in Mali. 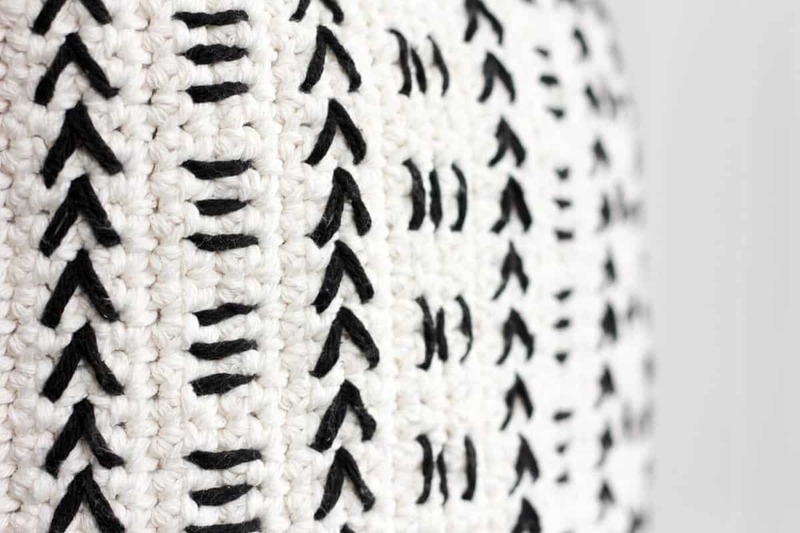 And this crochet pillow pattern is really fun because it is made entirely of single crochet! 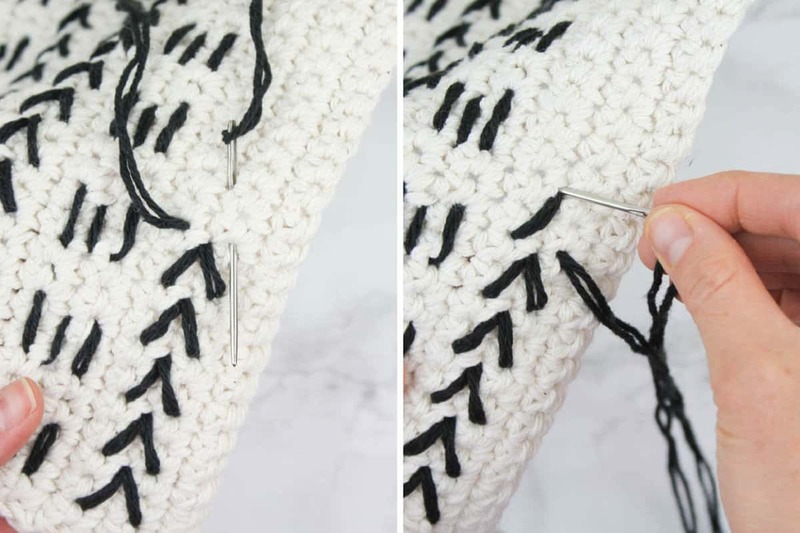 While the tighter stitches that give the fabric some structure are slightly slower to create, this pattern is great for anyone who is just beginning to read crochet patterns. If you can single crochet and make a square, you can make this pillow! 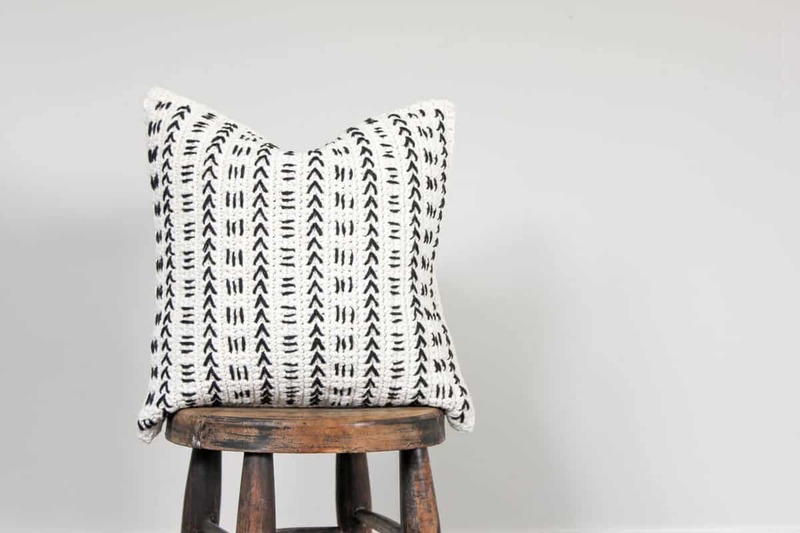 I’ve included detailed instructions for how to re-create the same mud cloth embroidery designs on your pillow that I used on mine, but don’t by afraid to experiment! I tried many designs before I landed on something I loved. (See my favorite inspiration here and here.) The great thing is that it’s pretty easy to just snip your embroidery and start over if you don’t like where your pillow is headed. 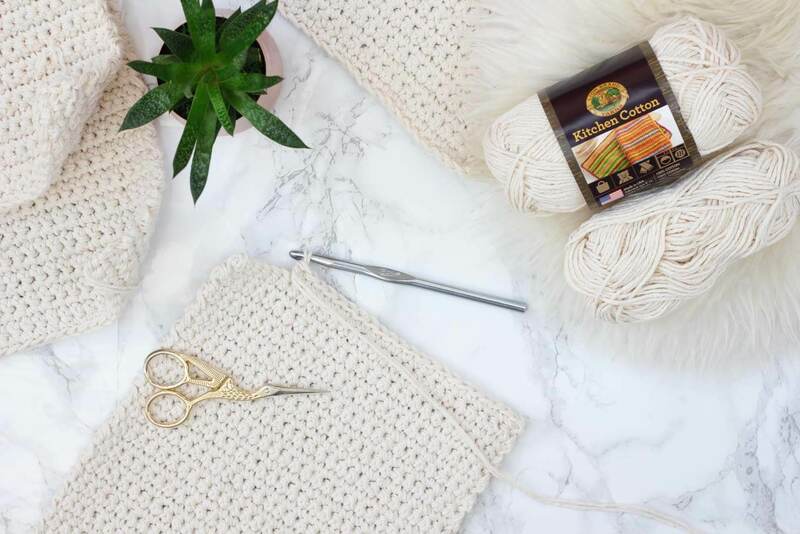 Thanks to Lion Brand Yarn for sponsoring this post and enabling more free patterns on Make and Do Crew! 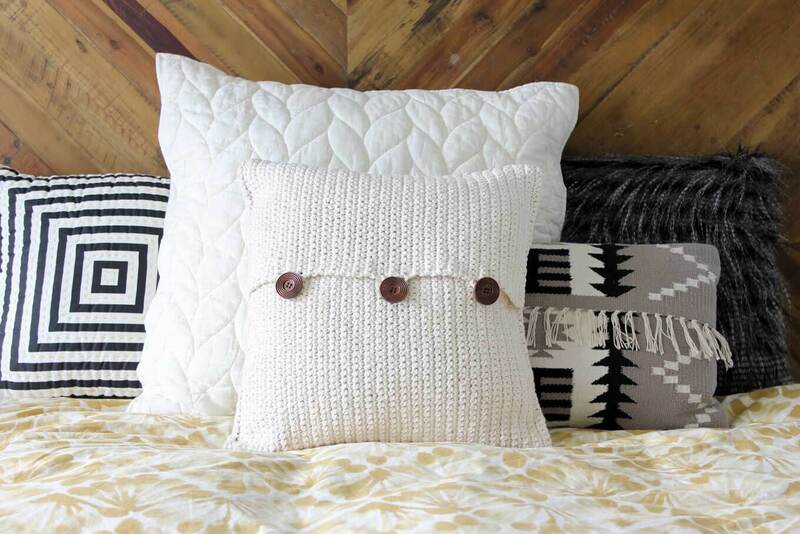 Purchase a handy kit with all the yarn needed to make this pillow here! Please do not publish or share this pattern as your own. 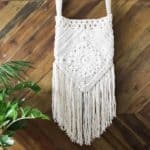 You may make items to sell with this pattern. In exchange, please link back to this post. Do NOT use my photos as your own sales photos. ­­You can read my policies here. Now let’s make something awesome! Purchase the ad-free, printable PDF with all instructional photos for $2.75 here. So you can spend more time making pillows and less time shopping, this pattern contains affiliate links at no extra cost to you. • Pillowcase is worked in three sections: a front panel and two back panels. The front panel is embroidered before all three panels are sewn together. 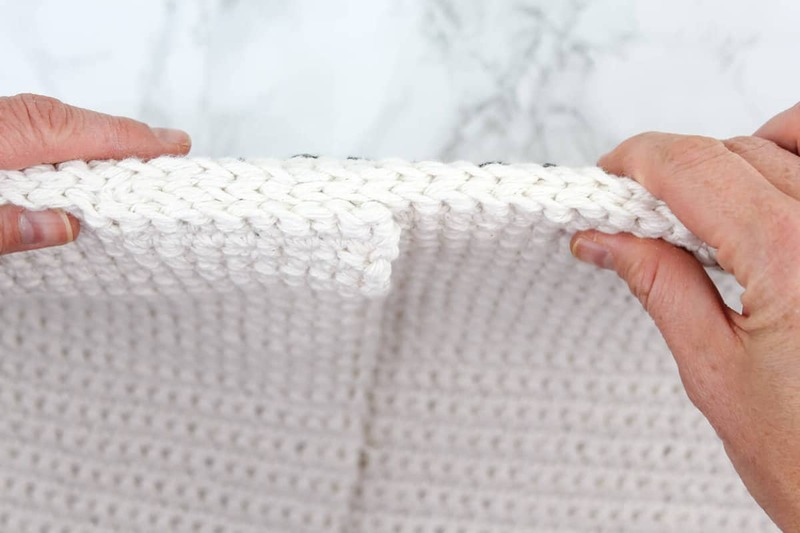 Alternatively, you can simply crochet two front panels and sew them together if you don’t desire a removable pillowcase. •Pattern is worked with two strands of yarn held together throughout. • Work stitches tightly to achieve a dense, even fabric. 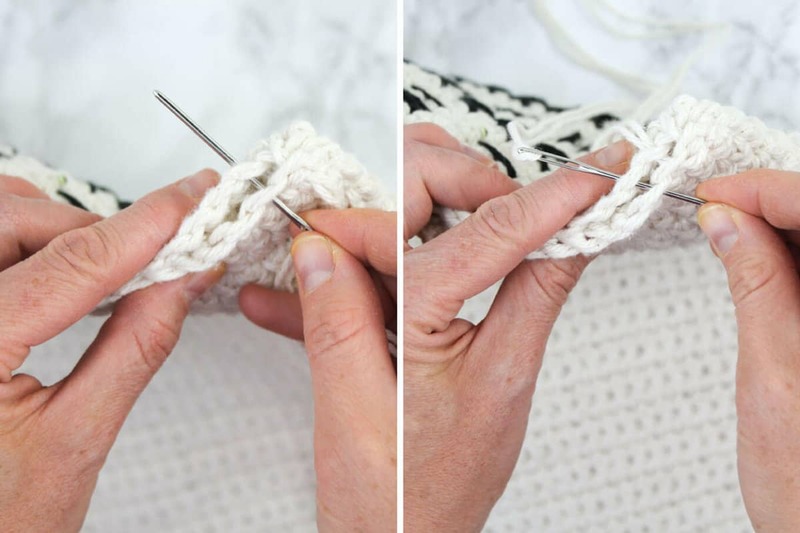 Check gauge and use a smaller hook if your stitches are turning out too loose. • To ensure you have the correct number of total rows in each panel, reference photo below for guidance on counting rows. 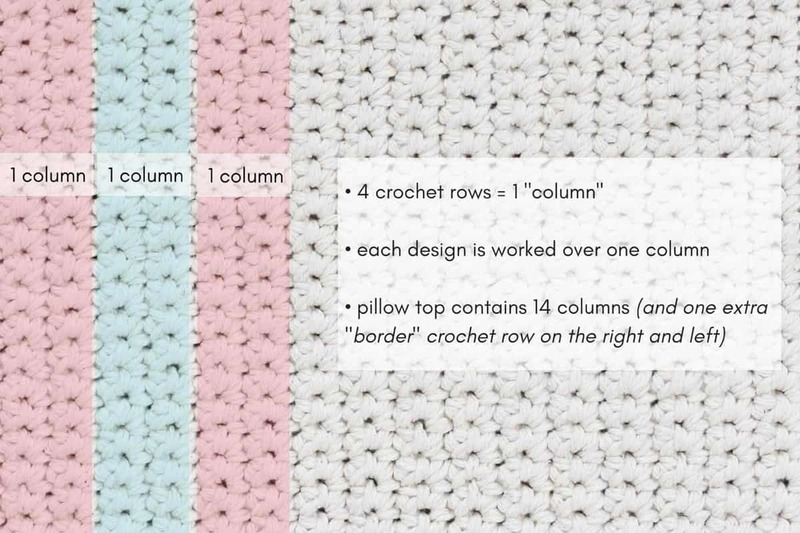 Your panels should have 14 total “columns” (sets of 4 rows) plus 2 “border” rows for a total of 58 crochet rows. Foundation Row: With 2 strands of MC held together, ch 54. Rows 3-58: Repeat Row 2. Foundation Row: With 2 strands of MC held together, ch 36. Foundation Row: With 2 strands of MC held together, ch 28. • Keep this part fun! I’m providing a lot of detail for those who like it, but don’t be afraid to just check out the photos for general technique and then invent your own mud cloth designs! • All embroidery designs are worked with one strand of AC yarn doubled over and a tapestry needle. Simply cut a long strand of yarn, embroider as much as you can, tie yarn off and begin with a new piece whenever necessary. • It’s important to pay attention to which is the wrong side and right side the pillow front so that the “columns” appear appropriately for the embroidery section. 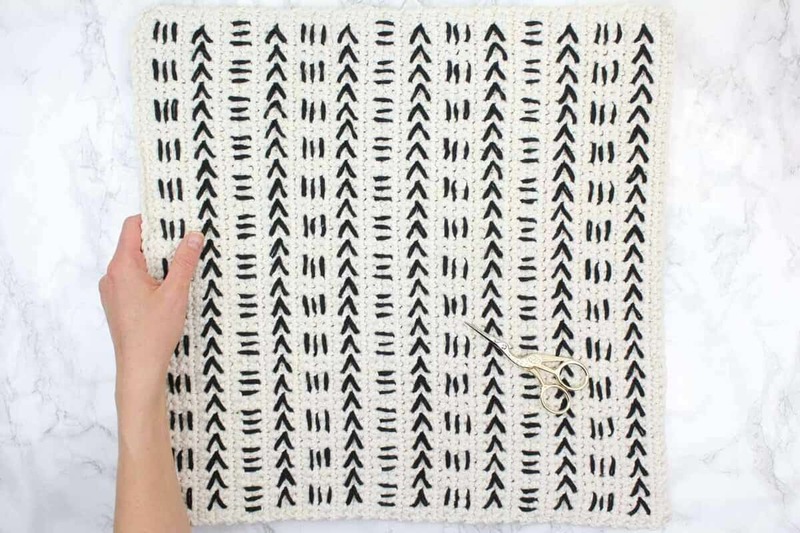 The RS of your pillow top should have 14 columns and one border crochet row on both the right and the left. • To recreate the sample, work the vertical lines design in the first column (rows 2-5), then the arrow design in the next column (rows 6-9), then the horizontal lines design in the next column (rows 10-13). Repeat this sequence until the last column, ending with an arrow design in rows 54-57. 1. Skip first two stitches at beginning of column (regardless of if design is being worked from the top to bottom or bottom to top). 2. Embroider one vertical line over two crochet stitches. Repeat twice. 3. 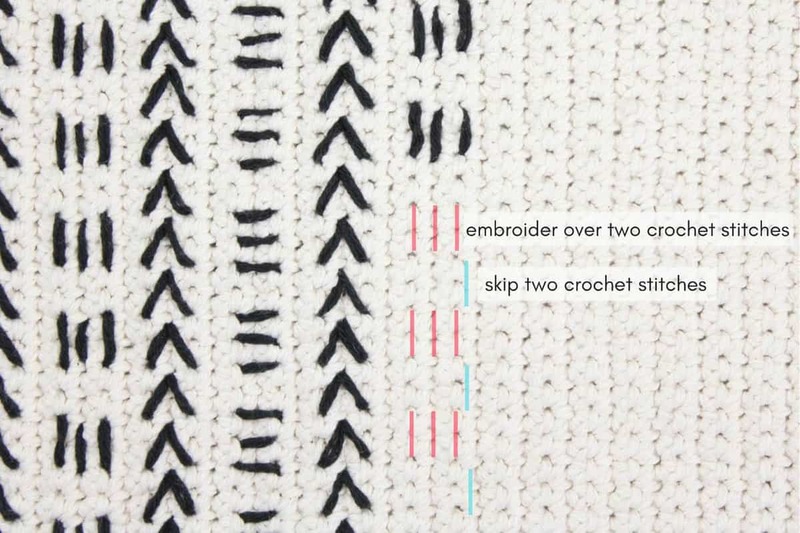 Skip two crochet stitches. 2. Embroider one diagonal line over two crochet stitches and one row. Repeat with a second diagonal line, joining first line in the same hole. 3. 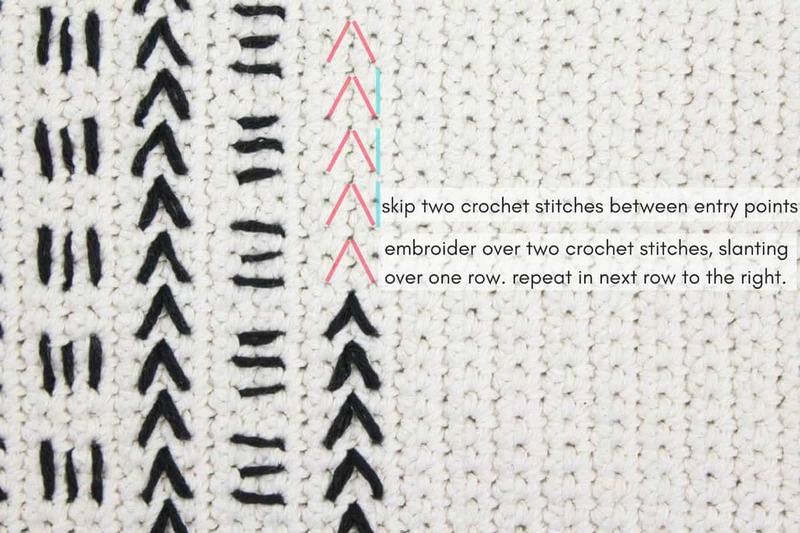 Skip two crochet stitches between arrow entry points. 4. Repeat step 2 and 3 (24) more times. See photos below for additional detail on creating the arrow. 2. 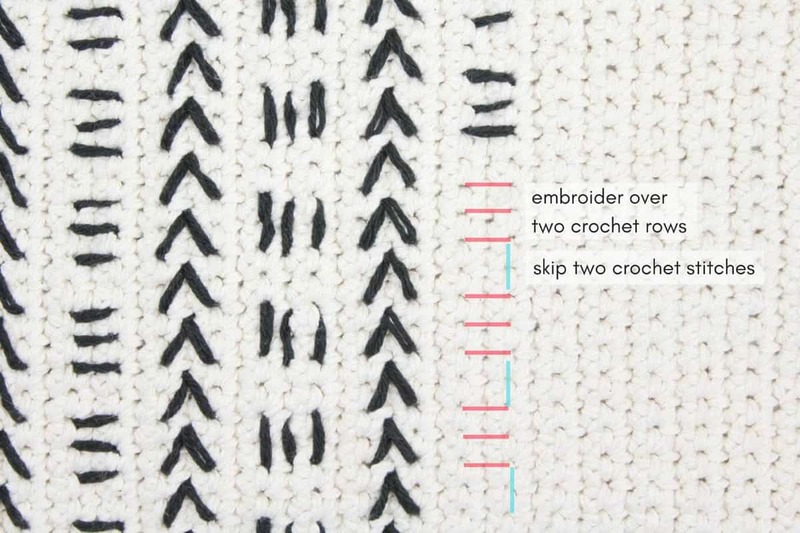 Embroider one horizontal line over two crochet rows. Repeat twice. 4. Repeat step 2 and 3 (12) more times. • While the intent of the pillowcase is that it’s removable, you may choose to place the pillow insert in the case before you sew the last few inches of the final seam so as not to stretch the pillowcase while inserting the form. • The two back panels will overlap by about 1.5”. Place pillow front and wider back panel together with wrong sides facing. Using a tapestry needle with one strand of MC yarn doubled, begin in one corner and sew the longer seam together using a basting stitch. Place narrower back panel on pillow front with wrong sides facing. Seam as you did on the opposite side, beginning with the longer seam first and then working the two shorter seams from the corners to the middle of the pillowcase. You may choose to place the pillow form in the pillowcase before you sew the last few inches of the final seam. Using two strands of MC held together, tie a slip knot on hook. 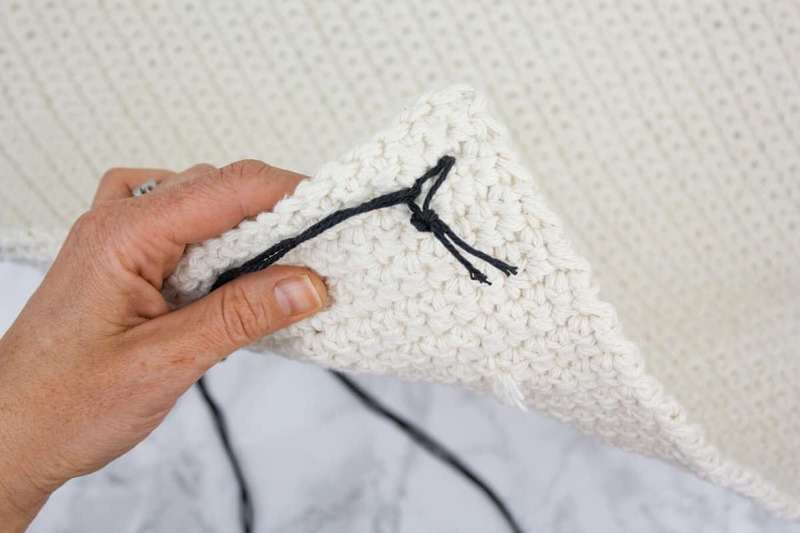 Insert hook in the sp between the 10th and 11th rows on narrower back panel, yo and pull yarn through slip knot on hook to attach yarn to pillowcase. Ch 5. Sl st to join in the sp between the 14th and 15th rows of narrower back panel. Fasten off and weave in both tails. Repeat to make a second button loop in the space between the 28th and 29th rows and the 32nd and 33rd rows. Repeat to make a third button loop in the space between the 44th and 45th rows and the 48th and 49th rows. If you haven’t inserted the pillow form yet, do so now. 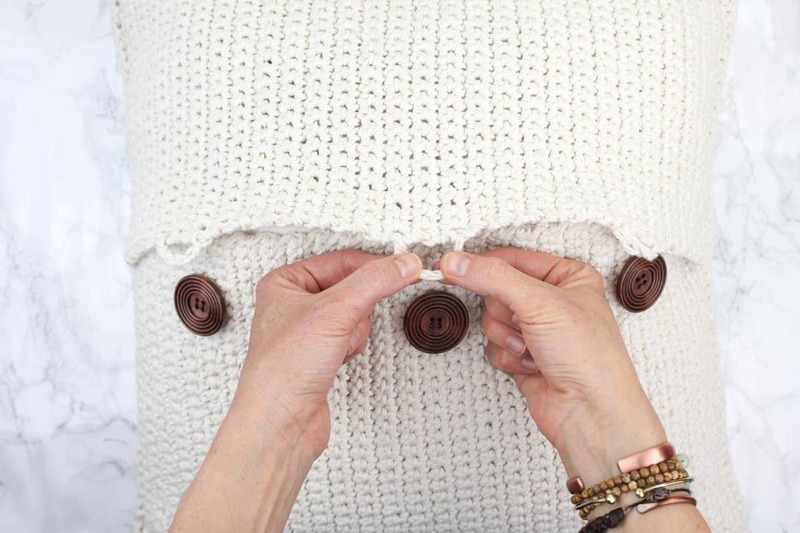 Sew wooden buttons to the wider back panel using a needle and sewing thread. Give your new mud cloth pillow a hug and take pride you just DIYed your own awesome piece of couch flair! 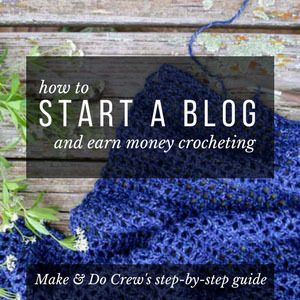 Here are more free crochet patterns from Make & Do Crew you might enjoy! I love this simple design and the embroidery how to was super easy to understand, thanks for sharing. So original and beautiful !!!!!!!!!!!!!!!!! very pretty. I like the embroidery design and the back of the pillow. Nice for outdoor furniture. Oh yes! I hadn’t thought of using it outside, but I think that would be lovely! I lived in Mali for eight years and love Bogolan (mud cloth). This idea is great! It will compliment our African decor very nicely! Please send some videos of how to make this amazing slippers for kids. I saw one awesome slippers for male that I love so much. Thank you for this wonderful inspiration. I have moved put of state lately and I bought some new living room furniture. I was looking for some pillows to go with my new set. I just fell in love with the mud room pillows The colors and designs go perfectly with my new living room furniture. 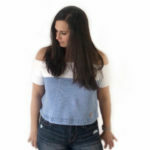 They are so easy to make and the stitching is easy to follow. thanks for sharing. Yay! I hope you enjoy them. Congrats on the big move. I know how moving that far can be quite a transition.